Gov. Says Reviews Underway In Hardwick Child Abuse Case | NOT IN MY WORLD!!!! BOSTON, MA – Gov. 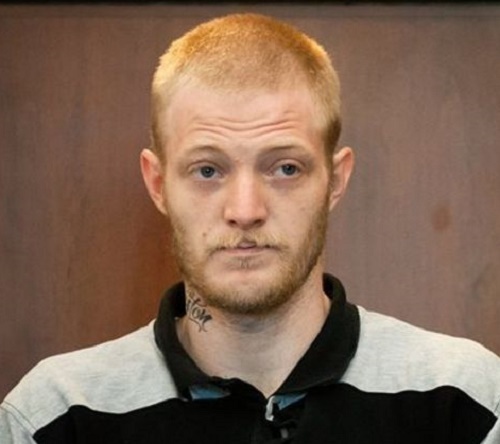 Charlie Baker said Friday he is “distressed” and seeking reviews in the case of a Hardwick father charged with assault and battery of a 7-year-old boy. Randall Lints, 26, was also charged with reckless endangerment and allowing injury to his son, whose name is Jack. “Like everybody else, I’m asking questions,” Baker said at a State House press conference on Friday. Baker told reporters that the child, who is currently hospitalized, is on a ventilator. Baker said he is “anxious” to look at reviews currently being undertaken by the Department of Children and Families (DCF). The governor said he was on the phone for an hour earlier Friday with his health and human services chief Marylou Sudders and DCF Commissioner Linda Spears. Asked by a reporter whether it appears to be a “botched” DCF case, Baker said, “DCF deals with enormously complicated cases all the time. And this one, based on what I know about it and I think what’s been written publicly, certainly falls into that category” of complicated cases. Baker said at this point data collection remains underway in the case. According to Baker, the child was in school through the end of the school year and had regular check-ups, and he was seen by DCF social workers and other family therapists who were working with the father and son, all the way through June and into July. Baker provided an update on the child and said the child is on a ventilator and unconscious. “I would not describe him as on life support,” he said. Clinicians say “he will be okay,” according to Baker. And now it’s come out that the DCF worker was not even licensed. Appalling. Thank You for your input and valued contribution!!!! I didn’t know about the License, so you have added another bit of mystery to this mysterious article. There is so much left unsaid that with your piece of the puzzle I have some searching to do today. I hope your weekend has been a good one to this point, and the remainder is even better.